Thomas Merz is managing director of PDFlib GmbH, the software company he founded 2000 in Munich (Germany). Since obtaining his master’s degree in mathematics in 1990, Thomas Merz has been occupied with computer graphics and cryptography. His membership in Adobe’s Developers Association brought him in contact with the earliest versions of Acrobat and PDF. Subsequently he authored several books on PostScript, PDF and evolving Internet technologies. In addition to developing software for text processing and publishing Thomas also worked as university lecturer and consultant on Internet security and cryptography. In 1997 he developed PDFlib, the world’s first software for creating PDF on the fly. This quickly led to the foundation of PDFlib GmbH, a company which is focused on developer products for creating and processing PDF documents. In 2006 Thomas Merz was one of the founding members of the Association for Digital Document Standards, the organization behind the PDF Association. 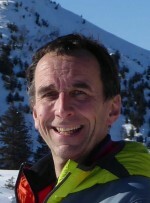 For several years he served as chair of the PDF Association’s Technical Working Group, managing projects such as the the first test suite for PDF/A-1 (called “Isartor” after PDFlib GmbH’s location at the time). A detailed article by PDFlib GmbH on new features and changes as well as deprecated features in the upcoming standard PDF 2.0 (ISO 32000-2). PDFlib PLOP and PLOP DS 5.1 – Digital Signatures in PDF – is now released. Customers can download a free trial at http://www.pdflib.com/download/plop-and-plop-ds/.